The Heart of the West Bozeman Live Auction takes place annually at the Best Western Plus Grantree Inn in Bozeman, MT during the second weekend of August. The 2016 show and auction is the inaugural year. Presented online for worldwide internet bidding, there are just over 100 lots of fine art to chose from. May pieces will be selling at great value for even the most sophisticated of collector. Absentee bidding is currently available and live bidding opens at 4PM Mountain Time on Saturday August 13th, 2016. 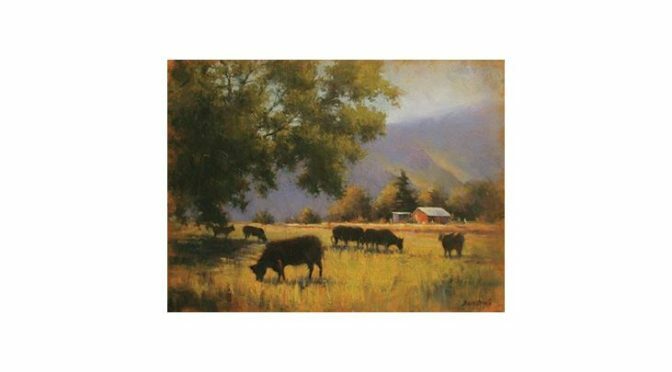 Lot 9 features a beautiful painting from artist David Marty entitled “Finding Shade”. It is an oil painting with dimensions of 18 inches by 24 inches. The scene is described as “It was a beautiful summer afternoon but you could feel the heat. It didn’t seem to bother the cattle though. They had huddled close to a large tree to find a little shade.” Bidding opens on this work at $1250. Artist Nancy Dunlop Cawdrey has a beautiful piece up for grabs on the auction block at Lot 24. Entittled “Big Sky Bison” this is a dye on silk that measures 39 inches by 28 inches. The artist says that the Bison is her favorite wildlife subject, and this piece of art shows that passion. Bidders should look at the photo online to see the full beauty of the painting, and bidding opens at $4000 which is a great value on a piece worth over $8000. Coming near the end of the auction day, Lot 97 presents “Sharp Shooter” from artist Meagan Abra Blessing. This is a beautiful oil that measures 36 by 36 inches. In the artists words, “I come by my love of rodeo honestly; my grandfather and uncles were team ropes. The rodeo atmosphere is exhilarating and I wanted to capture it in a contemporary style while giving a nod to the quintessential cowboy that has traditionally represented western life”. This painting will be a point of interest in any room, and opens for bidding at $1300. This inaugural auction will feature an excellent team of auctioneers and a great afternoon of buying at auction. All lots are available with photos and descriptions in the online catalog and the auctioneer is happy to answer any questions through email or telephone. 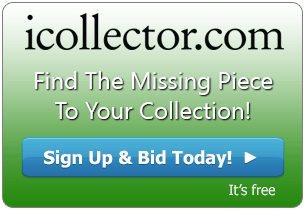 Bidders from around the world may register and bid online from any computer or mobile device.